Accely is an exclusive software solution provider for the Gems and Jewelry Industry. Our unmatched domain knowledge and successful technical ken are the most effective booster for your business. 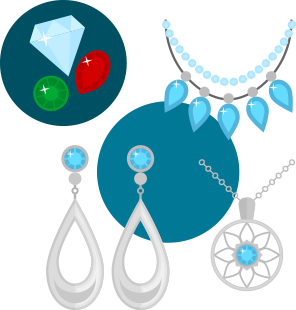 Our SAP solution is a completely business specific software solution for the entire supply chain from rough sourcing to diamond manufacturing and jewelry manufacturing and jewelry distribution/retail. We help you to monitor business KPIs with highest effectiveness and accomplish finest output with proper integration and control at every step of the supply chain from unrefined material procurement to final shipment of export orders. Our gems and jewelry solution beautifully blends the culture of the industry with the best practices implemented across verticals. The expert professionals are careful to decide among the diverse offerings of the solution to offer you with nothing but the best! All processes such as inventory and accounts live and real-time.